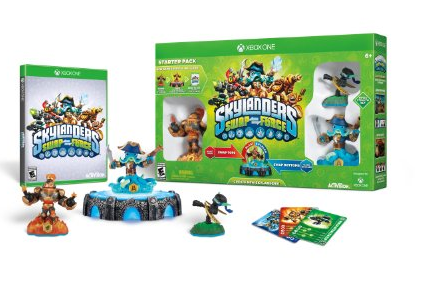 Skylanders SWAP Force Starter Pack Xbox One $16.99 + FREE Prime Shipping (Reg. $49.99)! You are here: Home / Great Deals / Amazon Deals / Skylanders SWAP Force Starter Pack Xbox One $16.99 + FREE Prime Shipping (Reg. $49.99)! Skylanders SWAP Force Starter Pack for Xbox One $16.99 + FREE Prime Shipping (Reg. $49.99)! WOW! Check out this AMAZING deal on the Skylanders SWAP Force Starter Pack on Xbox One, on sale for only $16.99 (Reg. $49.99) right now! This would make a pretty awesome Christmas gift this year!